Get ready for next week's Interhouse Touch Typing Competition. These sites will help you improve your speed. Hope you enjoy them! I did 30wpm and was third on the first competition and on the second game I did 29wpm and had no errors. These games help a lot for us to have better performances on the IT Interhouse Competition. i did 18 words per minit. I enjoyed this game. Miss Marta had seen me improve in my touch typing. Now I do 21 words per minutes, I ñnow is not much but for me is a big improvment. I liked alot this post!!! In thw game of PRACTICE 1, I did 47 words per minuite!! and in the PRACTICE 2, I did 227 characters per minuite. I don't know which is the speed of the second one. But thanks! for posting the games to practice for the IT TOUCH TYPING INTERHOUSE..
this games were of great help for the interhouse on IT. I did 26 words per minute but then its says me that I did 183 characters per minute that part i didnt understand . I did Very well I think, I did 33 Wpm and my record of touch typing is 35 so.. I think its OK. I practiced a lot with this games, I did 65 words per minute and no mistakes. I done 24 word per minute on the firts competition and on thr second 29 it helped me a lot. I am in a laptop so its a bit difficult! Thank you so much! I am terrible at touch typing. I can type quickly enough, but only when I'm looking and I never keep my fingers on 'Homerow.' My scores where so embarrassing, I won't post them, but I'll keep practising. I already started practicing and I am improving a lot in touch typing! But I am going to stell practicing. I am a little bit nervous. 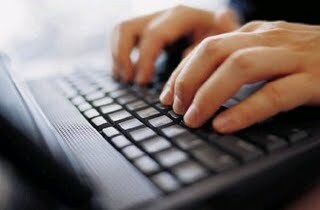 I think that touch typing is a very useful tool but very difficult to learn you have to be very determined to learn. In the first game my score was of 34 words per minute and in the second of 36 words per minute. This is my new record. In the first time I tried I lost in the second on I was 2nd. Thanks for put up games to practice for the touch typing competition. Thank you for these games, they were very useful and I think I will do very well in the competition day! I hope MONTEITH wins, because he is thee best! But if he dosn´t win I will always be prud of hiiim! I knew that in one of this days it was going to be the touch typing competition where obviously Monteith is going to win!!! jaja Marta told us something about it on monday, but I forgot immediatelly, and then, (I don't remember if one thursdar or in friday), they put lots of announcements saying the competition was near by and approaching. Passing to this two games, they were marvellous and very useful for me to practise for the interhouse. In the exercise 1 I played 10 times and I came in 6 times 1st, 2 times 2nd and 2 times 3rd. I had a maximum score of 36 Words per minute and a minimum score of 27 words per minute. In the exercise number 2 I played only 2 times and I always got an average of 31 words per minute. The games where really good, I came third everytime. I don't have internet in my house so I blog through a friends house. I am very nervous because of hte touch typing competition its a very difficult test. However I am convinced that DODDS will win. Very nice game, It helped me practice a lot. I did 33 words per minute. I always study for this commpeticion. I know a lot of touch typing because when I chat I practise a lot! In the other inter-house I was a bit nervouse but this time I am going to concentre very much. I did 34 words per minute on the first race!! I think Fleming is going to win because eugenio types very fast and other people of Fleming too, I am very positive. i liked the game, i played but i am not so good at it. but it help us on touch typing. I did 31 wpm. I can´t believe I did many words per minute. But it really helped me it will help me for the Touch Typing Competishion as you said. THis is a grate game!!!! I have improved my writing!!! at first i didnt understand the game sow the car had win me but then I understand . the games were really helpfull. i am practising a lot for my touch tiping test for me is very important that test because i want to improve on my touch tiping.